Professor Killen specializes in the cultural and intellectual history of modern Europe, especially Germany. 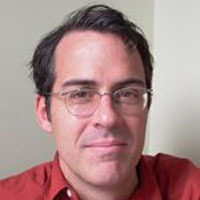 The recipient of fellowships at the UCLA Humanities Consortium in Los Angeles and the Max-Planck Institute for the History of Science in Berlin, he recently completed a book on psychiatry and the invention of "nervousness" as a medical and cultural response to the modernizing process in late nineteenth- and early twentieth-century Germany. He is currently working on a project on relations between film and the human sciences in Germany. Berlin Electropolis: Shock, Nerves, and German Modernity (University of California Press 2006). Co-editor with G. Eghigian and C. Leuenberger, “The Self as Scientific and Political Project,” Osiris, Vol. 22 (2007). 1973 Nervous Breakdown: Watergate, Warhol, and the Birth of Post-Sixties America (Bloomsbury 2006). Homo Cinematicus: Science, Motion Pictures, and the Making of Modern Germany. University of Pennsylvania Press, 2017. "Weimar Psychotechnics between Americanism and Nazism," Osiris, Vol. 22 (2007). "From Shock to Schreck: Psychiatrists, Telephone Operators, and Traumatic Neurosis in Germany, 1900-1926," Journal of Contemporary History 38, no. 2 (April 2003).